Choose from the Site/Rental Type features below to filter your availability results. Holly Shores Camping Resort, family-owned and operated, is celebrating 51 years of dedicated excellence in customer service! We provide a quality experience for your camping getaway with first class service as our priority. 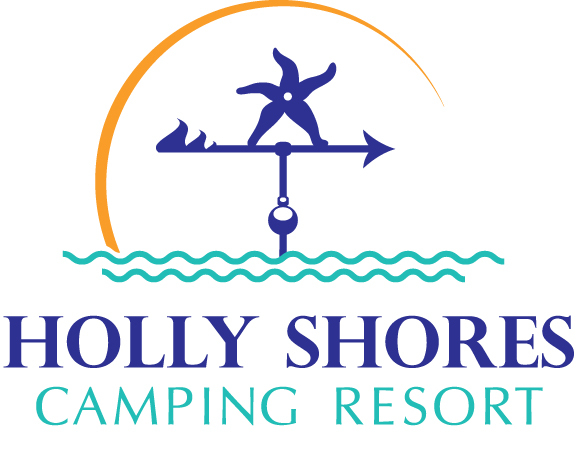 Holly Shores offers over 300 campsites for daily, weekly or seasonal camping as well as 40+ deluxe cabin rentals. Find your perfect vacation home-away-from-home today! Located at the Jersey Shore, Cape May County is one of the top getaway destinations on the East Coast. Holly Shores is tucked away in the heart of Cape May County, minutes away from beautiful Cape May and the Wildwood beaches, exciting attractions and rich local history. The possibilities are endless from touring the history of Cape May to riding the roller coasters on the Wildwood Boardwalk. Take in a whale-watching ride, go fishing, kayaking, boating, or play a round of golf. Check out the local wineries and breweries, go antiquing or find your favorite local species at the Bird Observatory and Nature Center. Holly Shores offers a full schedule of daily resort activities, themed food events, holiday events and a full calendar of themed weekends designed for the young and the young-at-heart . . . live poolside music, DJ dance parties, ceramics, paint classes, bingo & more!